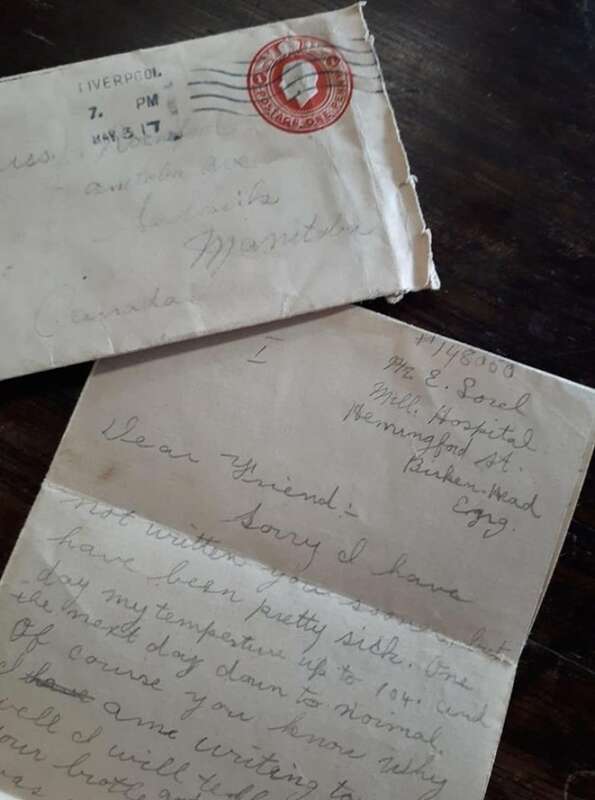 The owner of a Steinbach antique shop and cafe is on a mission to find descendants of a soldier who wrote a letter 102 years ago. The letter, addressed to a Selkirk woman, describes in detail how the woman’s brother saved the writer in the Battle of Vimy Ridge during the First World War. Amanda Kehler never dreamed she’d find such a treasure when she bought a box of random old papers on Saturday for one dollar. She got it from a local man who buys and sells items from estates. 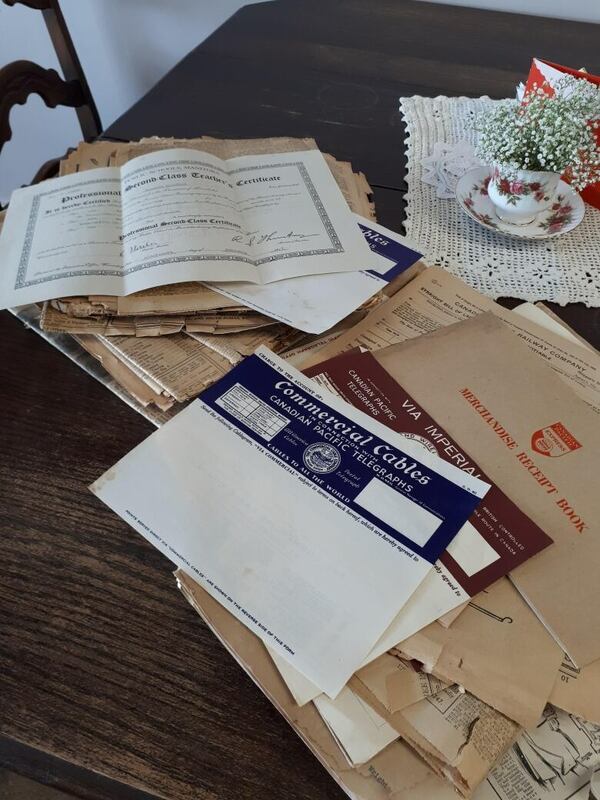 Kehler, who co-owns Prairie Pickers Cafe in Steinbach, has a love for reading old letters and documents. So on Tuesday, she settled in to pick through some of the contents of the box. She couldn’t believe it when she realized what was in the letter. The letter, postmarked May 1917, is addressed to “Miss P Rockford, Manitoba Avenue, Selkirk.” The Battle of Vimy Ridge was fought April 9-12, 1917. The writer, Earl Sorel, puts his address as a military hospital in Birkenhead, England. According to Canadian military records, he was 20 years old at the time. Kehler said she tries to put herself in the place of the dead soldier’s sister, and what it would have been like to receive that letter in 1917. And now, she’s on a mission to try to find any living relatives of Earl Sorel and return the letter to family. Kehler posted about the letter on the Facebook page of her Prairie Pickers Cafe. Also in the box with the letter were some teaching and other professional certificates. Kehler said the name Rockford, Gordon’s sister, matched some of them. Prof. Stephen Davies is project director for The Canadian Letters and Images Project at Vancouver Island University. It is an online archive of the Canadian war experience as told through the letters and images of Canadians themselves. 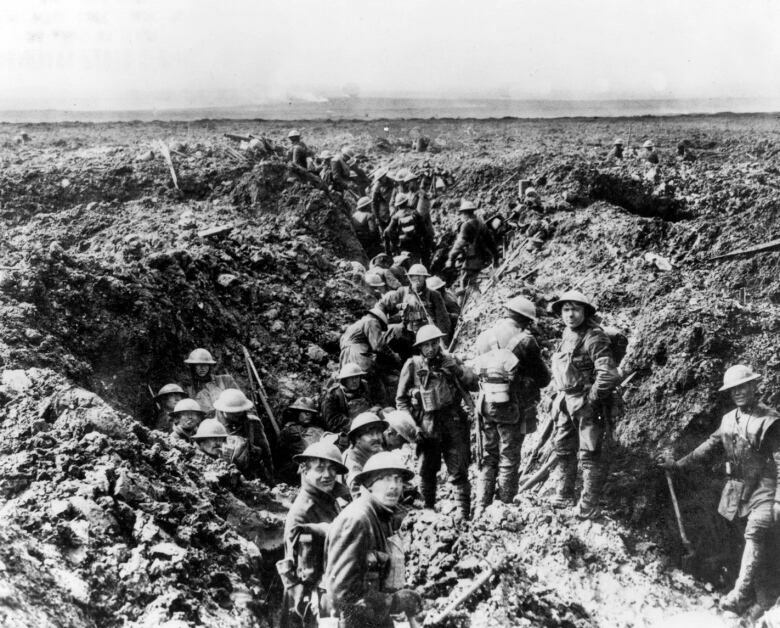 “We often think of Vimy as that big battle … you know, Canadians take the ridge. But letters like this let us see the individual side of it, the personal side, and so I think that’s really what’s important,” he said. Davies said he would love to make a digital copy of the Sorel letter in order to include it in his online project. CBC gave Davies the military ID number Earl Sorel wrote on the top of the letter. He popped it into a public search engine of First World War military records run by Library and Archives Canada. A 60-page document detailing Earl Sorel’s military history popped up, with everything from medical records to the address where his mother lived. Kehler said she’s been poring through the ancient records, looking for clues, but hopes some modern-day people reading this story might be able to help her as well.